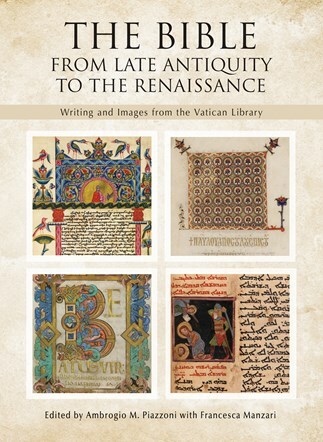 "The serious scholarship of this volume is matched only by the beauty of the reproductions of dozens of images of biblical manuscripts found in the Vatican library. The writing is technical but not inflated, so that the average, well-informed Catholic can understand and appreciate the various articles." "Sound scholarship and gorgeous images characterize this collection. In all, this is as much a celebration of the Vatican Library's important holdings as it is a survey of Christian writing and art over some fourteen centuries." "This book is a noble representation of what lies in the BAV (Bibliotheca Apostolica Vaticana). It contains literally hundreds of gorgeous full-color photos of the finest pages of the best ancient bibles. "An absolutely beautiful book, a work of art in its own right. A unique volume that would enhance every theological library. Kudos to Liturgical Press for producing this splendid English translation of the original Italian edition." "Simply a magnificent volume. It is also massive! As first glance it looks like a coffee table book on steroids: over a foot long and nearly a foot and a half along the spine, it contains more than three hundred and sixty thick glossy pages. I highly recommend this volume to those interested in biblical art, the history of biblical manuscripts, or anyone who teaches the Bible. This is a truly beautiful book with careful scholarship from specialists in each manuscript area."